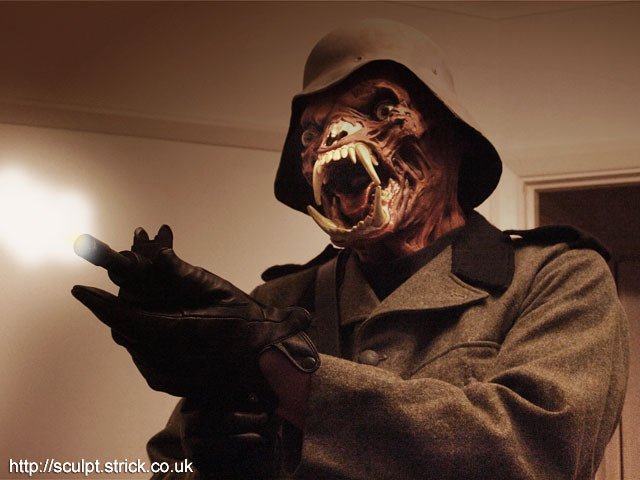 Described variously as 'Nightmare Demons', 'Zombie Werewolves' and 'Nazi Demons', these characters appear only briefly in John Landis' An American Werewolf in London but make a big impact. 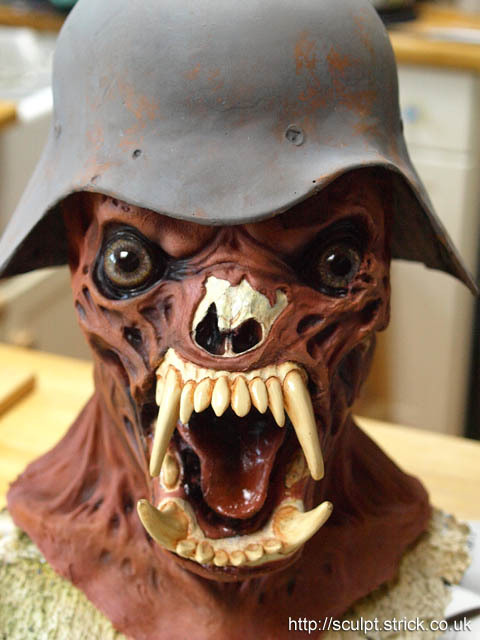 Despite having only three weeks' notice, as soon as I heard that there would be a costumed celebration of the movie at London's Curzon Cinema, I knew I had to make one of these creatures. 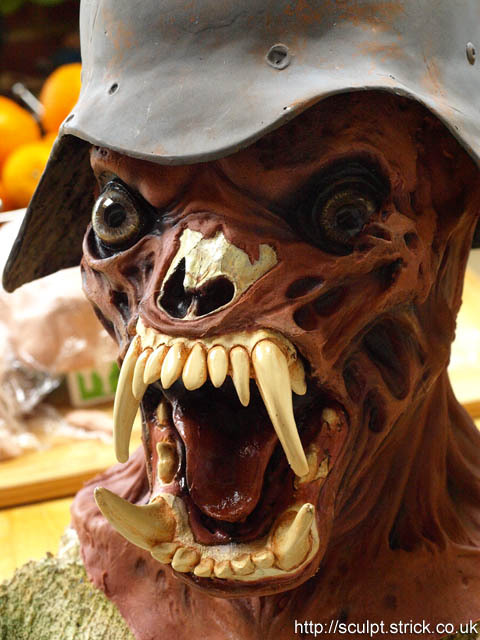 The result is a custom-made pull-on latex mask with resin teeth and a fibreglass helmet. The eyes are painted on the inside of clear acrylic hemispheres. The costume was completed with a Swedish army tunic that was customised by my partner, Katherine who added black epaulettes and collar. The finished outfit was able to replicate a key shot in the film fairly closely. 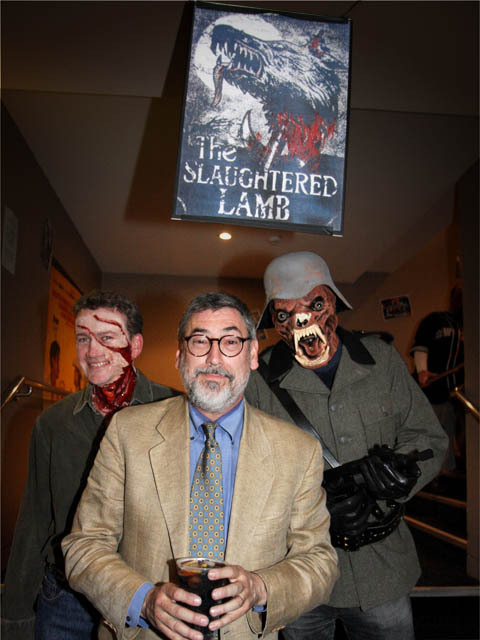 I was also happy to be asked to pose with John Landis himself for publicity shots (Landis photo courtesy of Mark Mawston). In depth construction details for the mask here.